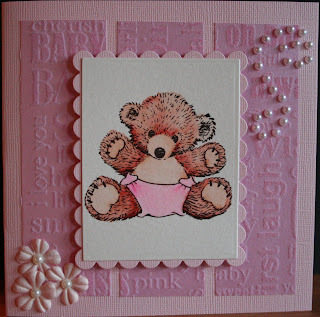 What a lovely card and such pretty soft colours which go with the sweet image perfectly. Beautiful card Arnhild, such a sweet image and I love that pearl swirl! 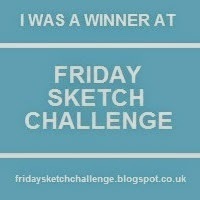 Thanks for playing bingo with us at Allsorts this week and good luck!